FIGURE 3.2. 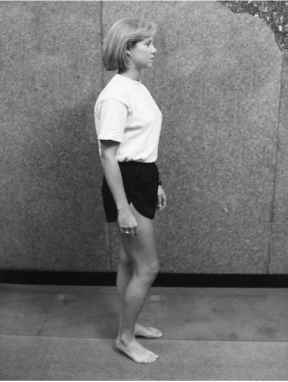 During stance, the patient with an irritated hip tends to stand with the joint slightly flexed. Consequently, the knee will be slightly flexed as well. This combined position of slight flexion creates an effective leg length discrepancy. 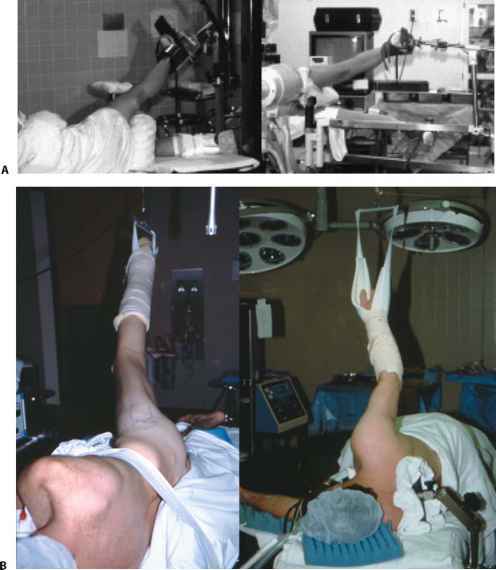 To avoid dropping the pelvis on the affected side, the patient tends to rise slightly on his or her toes. FIGURE 3.3. In the seated position, slouching and listing to the uninvolved side allows the hip to seek a slightly less flexed position. This is usually combined with slight abduction and external rotation, which relaxes the capsule. FIGURE 3.4. 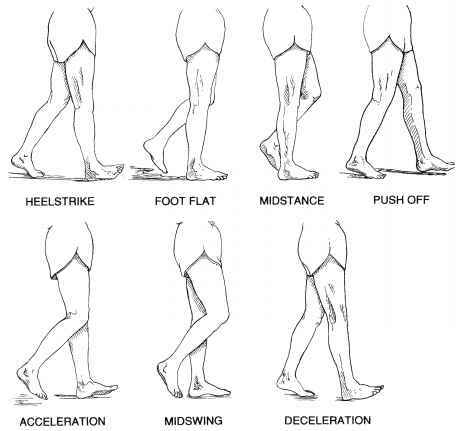 Normal phases of gait.